DC USA. 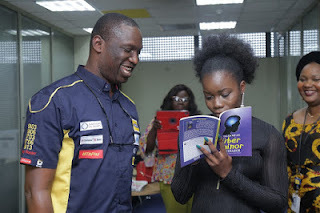 Selected to begin a PHD programme at University of California, Davis in September 2017, Nkechi - one of the youngest PHD scholars in the world, is poised to kick off a new adventure. 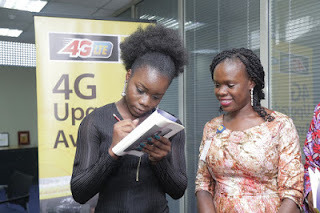 On her recent visit to Nigeria, Nkechi paid a visit to the MTN Headquarters in Ikoyi and was warmly received by the Corporate Relations Executive, Tobechukwu Okigbo and staff of MTN who had the privilege of receiving autographed copies of her book. At 18, the fun loving teenager who contemplated dropping out of college at one point, has already accomplished what many adults will struggle to achieve in their lifetime. This go-getter took the SATs and TOEFL at age 13 and received 5 scholarships offering admission to 5 different colleges in the United States. She chose Howard University. She’s the author of the book, Tales of an Uber Minor in College, which highlights the importance of finding and seizing opportunities, and the important roles friendship, mentoring and family play in shaping our lives. 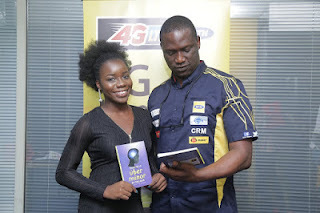 In the book, she tells stories about her years as an undergraduate at Howard University and goes on to inspire and encourage Nigerian youths to embrace greatness in a world designed to limit potentials. 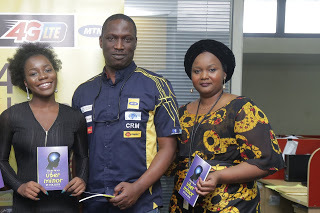 MTN purchased copies of her book for distribution across primary and secondary schools in a bid to encourage and inspire young scholars to dream big and reach for the stars. To her, her resolve and dedication to achieve greatness. She is living proof that even ordinary people can achieve extraordinary and exceptional things.